I recently created two, new quilts. 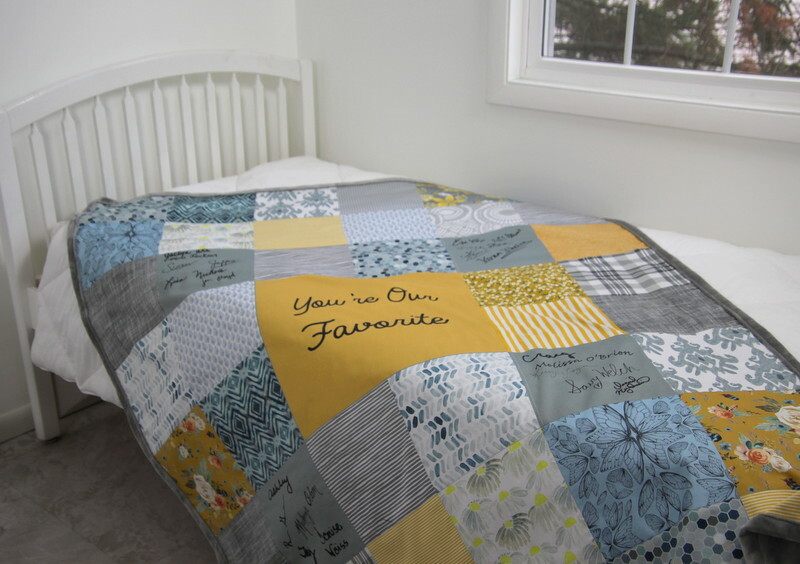 The first, shown here, was created by using a cheater quilt at Spoonflower. I created a fabric group based on the colors my client wanted. 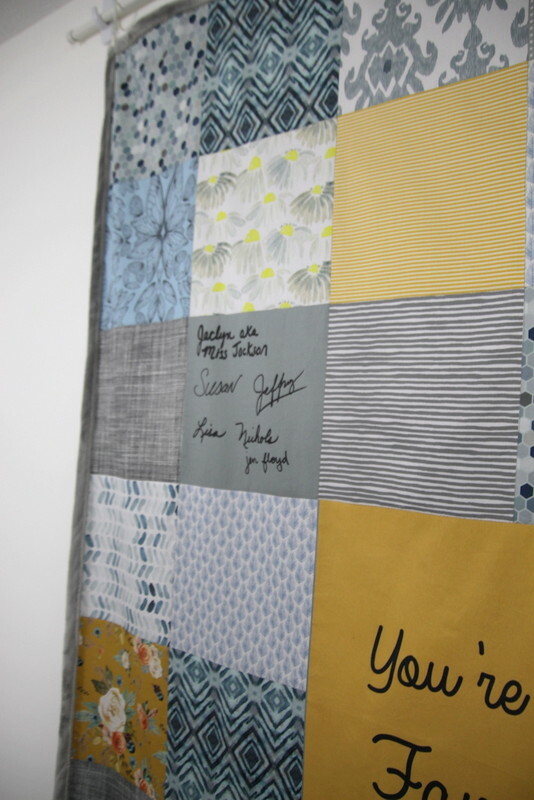 In addition, I designed (with Annie’s help) a special block for the center and four signature blocks. 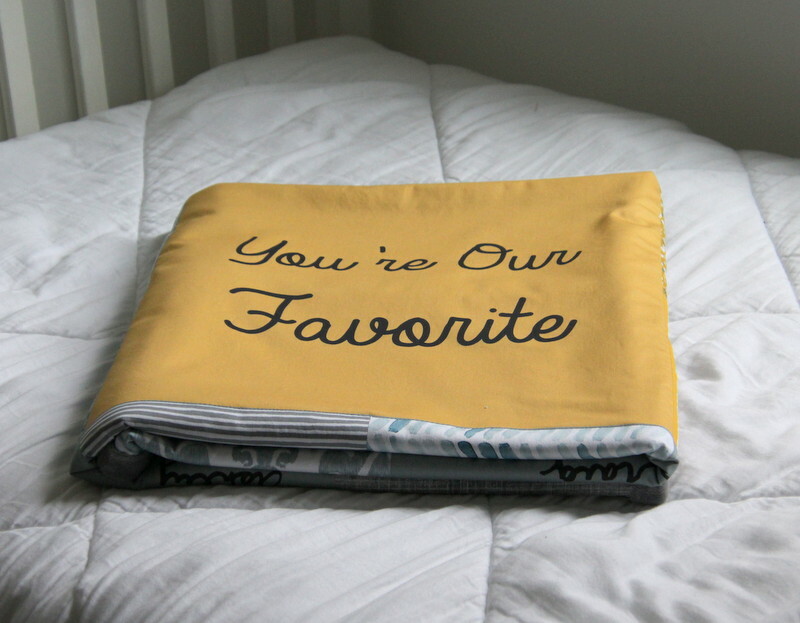 All of this was printed on one piece of organic cotton sateen fabric by Spoonflower. I then washed the fabric and sewed it to a minky backing. 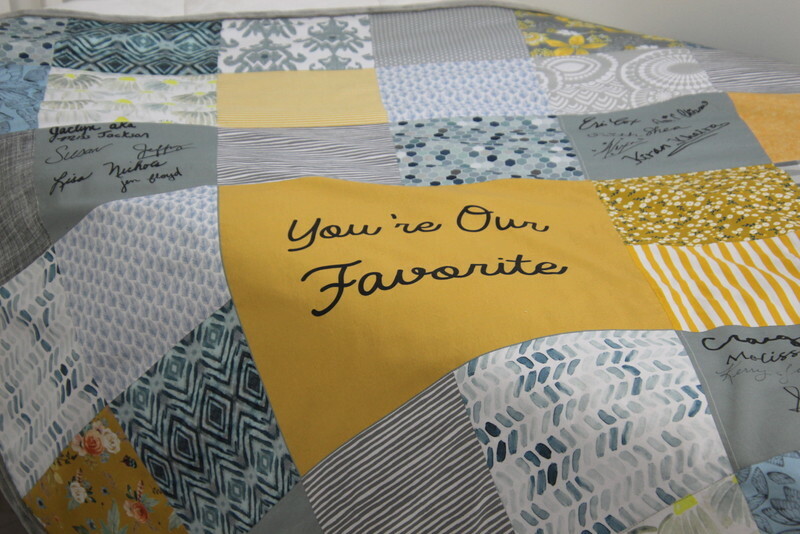 I quilted along the block lines. 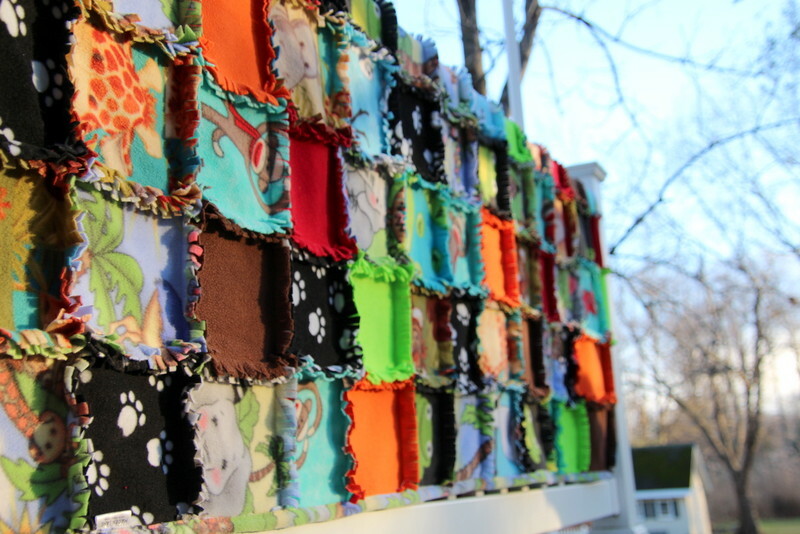 This rag-style quilt was created for a client who lost her beloved ferrets. 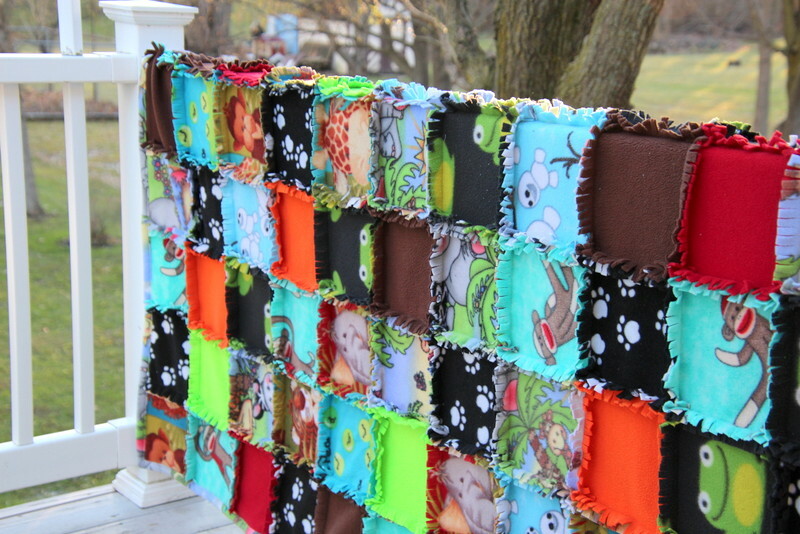 She had quite a collection of fleece blankets that they used as beds and requested I make a rag-style quilt. 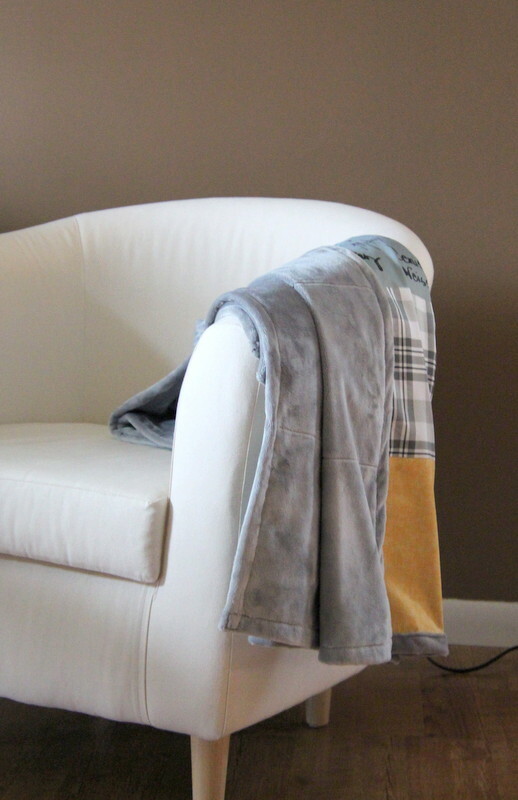 We kept it to a single layer of fleece. 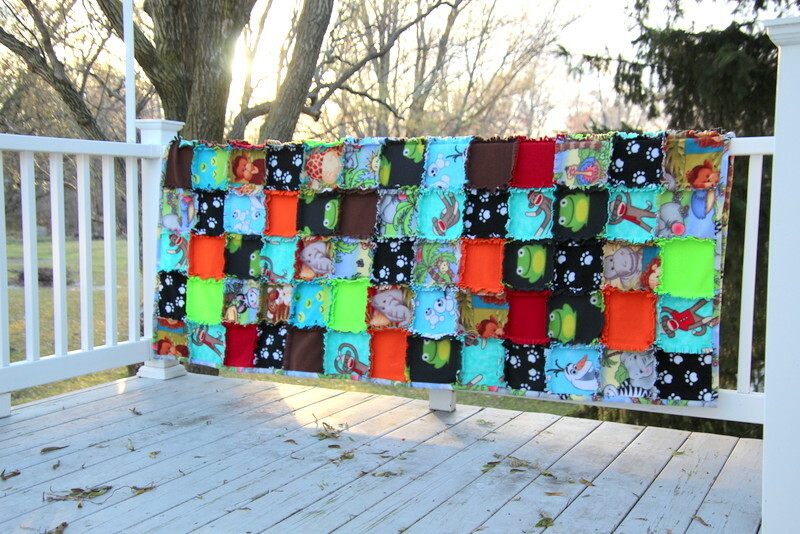 To create a twin-size quilt, I cut 130 blocks that were 9″. I arranged them in a 10 x 13 grid and sewed them together using a 1″ seam allowance. I then cut fringes every 1/4″. Finally, I used an extra piece of fleece to create a binding. 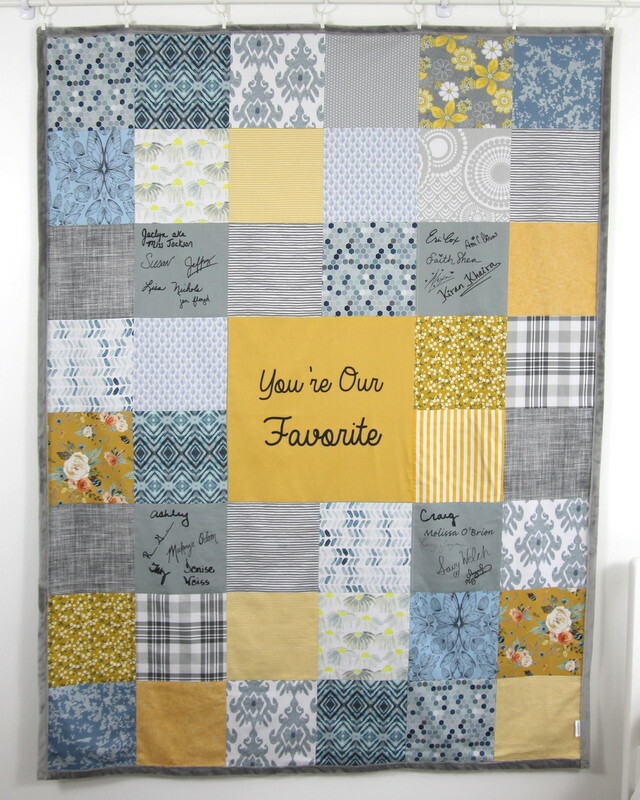 This helped finish the look of the quilt as well as add a bit of heft to the edges.